All Mail Orders over $100USD, €80 or £60* will be FREIGHT FREE. Don’t worry if your shopping cart still shows a freight charge as it will be removed once downloaded from the online store. 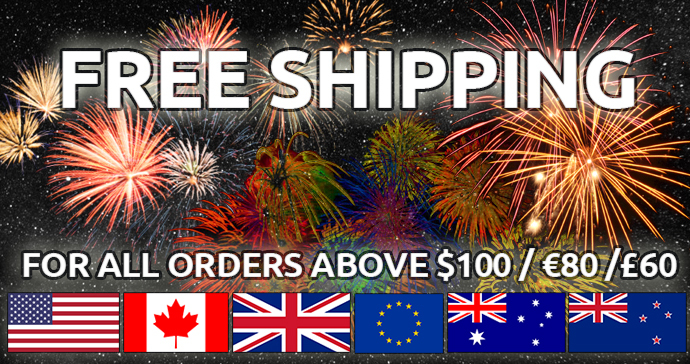 * free shipping only applies to orders from Mail Order customers in the USA, Canada, UK, Europe, Australia and New Zealand.